Here in Australia, Home Safety Store is proud to provide our customers with top quality security and burglar detection systems or devices that will help to keep your home or business premises safe. These generally work through motion sensors, which sense intruders and send a signal to your alarm system to trigger the siren and/or contact your mobile phone or monitoring service if you have one. 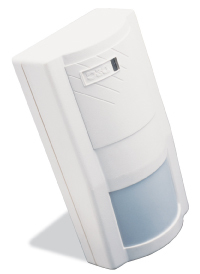 Security and burglar detection systems that use PIR (Passive InfraRed) sensors detect body heat or infrared energy. They detect heat and movement in a particular zone by sending out “laser waves” in lines. When a heated moving object crosses those lines, it triggers the sensors. PIR sensors are the most common type of sensor in security and burglar detection systems in Australia. Dual sensors in security and burglar detection systems use both heat and microwave technologies. Microwave technology works by sending pulses that bounce back from a moving object, which triggers the sensor. This makes dual sensors more reliable, as they are less likely to send out false alarms. As the name suggests, pet immune sensors can be programmed to only sense a particular height or weight of an object so that your family pet won’t trigger the alarm. Most pet immune sensors in security and burglar detection systems also have sensitivity levels that can be adjusted for different types of pets. Why choose Home Safety Store? Home Safety Store in Australia takes pride in the wide range and high quality of our burglar and security detection devices and systems, which you can buy online at great prices. We only source products from brands that we trust, and that we would actually install in our own homes. More importantly, we put the decision making process in your hands so you can buy the security detection system that is right for you, rather than simply leave it to your electrician to choose an alarm system for your property without prior consultation. When you buy a security or burglar detection system, it is important to consider your lifestyle. Will you require pet immune sensors? How many zones do you have in your home? This is a good question to ask as some systems only allow a maximum of 6 zones. Would you like to have your system monitored by a monitoring station or simply be alerted on your mobile phone when the sensors have been triggered? These days, your security and burglar detection system can either ring your mobile phone or alert you through a smartphone app – it’s up to you! •	Don’t place the security detection device in direct sunlight. •	Don’t let pets or other animals wander about your property while the alarm system is armed (unless you have pet immune detectors). •	Don’t mount near heaters and radiators. •	Don’t mount near open windows or air vents, as draughts may cause false alarms. •	Do mount on a stable surface. •	Don’t run cable parallel to the mains wiring. 1. My alarm system keeps beeping. Your alarm system is most likely indicating that the backup battery is low. You will need to have the battery replaced. 2. I can’t arm or disarm my alarm system. Have you changed the code on your alarm system recently? More often than not, this is simply due to homeowners forgetting that they have recently changed their code! If this isn’t you, there may be an issue with your keypad. We recommend speaking to an alarm professional or contacting the manufacturer of your security detection system. 3. A particular zone keeps triggering the alarm system. It could be that one of your sensors or detectors is faulty or that it is too sensitive. We recommend getting an alarm professional to have a look at your system.